Established in 2008, Rawls Construction is your first and only necessary choice for all of your residential needs. We are always happy to offer a free consultation, and pride ourselves on integrity. Specializing in Interior & Exterior Remodeling. Bringing Visions to Life! At Antin Construction, it is our mission to turn your dream home into a reality. We are a local home construction company and we are committed to help our fellow citizens. We understand your desire of having a spacious, luxurious, and happy home and we will help you build it. Our services include room additions as well as custom home building services. We offer efficient ‘design-build’ home addition services that make adding new space to your home quite simple. Our design-build home addition team will design, engineer, and construct your new home addition to fit any budget and style you choose. If you are looking for a reliable home additions contractor that you can trust, then Antin Construction is the right option for you. We serve Simi Valley and the surrounding region and have an excellent track record in creating life-long, satisfied clients. Our office is located at 1197 E Los Angeles Ave Ste 98, Simi Valley, CA 93065 so you can always reach out to us for any home additions service. Our experienced professional also handles every aspect of a custom home building project. We combine years of industry experience with backgrounds in engineering, architecture, and budget planning to deliver quality final products to our clients. Contact us on (805) 904-1798, to know more about our new construction services. What’s the most important step in building a new house from the ground up? Many people would say it’s choosing the right Brandeis home builder. 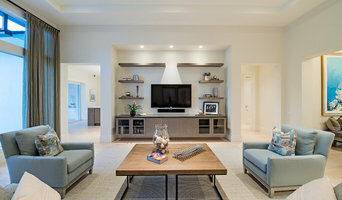 Constructing a new house is a huge and multifaceted undertaking, so it’s important to find custom home builders in Brandeis, CA you can trust to bring your vision to life, as well as keep the process under control from start to finish. Although a construction job is never without surprises and challenges, a Brandeis, CA home builder who’s a good fit for your specific project will make these far easier to handle. For Brandeis residential home builders who also act as developers, the job starts well before the first nail is driven. They perform local market research to determine whether the prospective homesites make sense in the Brandeis, CA market, as well as survey the land on which the house will be built to make sure it is suitable for construction. Custom builders also obtain the necessary permits. 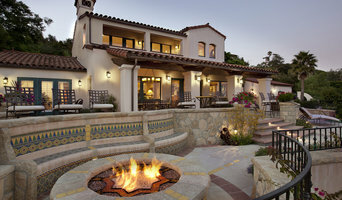 A good custom home builder in Brandeis, CA has skills that go far beyond construction — he or she must supervise subcontractors and artisans; keep tabs on local zoning regulations, building codes and other legalities; inspect work for problems along the way; and perform dozens of other roles that are essential in building a quality house. Here are some related professionals and vendors to complement the work of home builders: Interior Designers & Decorators, Landscape Architects & Landscape Designers, Architects & Building Designers, Kitchen & Bath Designers, Specialty Contractors. House builders are responsible for ensuring that the home-building project sticks as closely as possible to the specified timetable, particularly in the event of change orders. 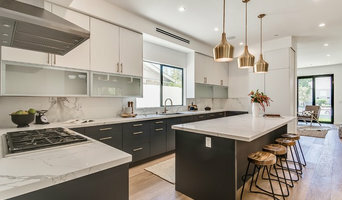 Custom and luxury home builders in Brandeis, CA also need interpersonal skills to deal with clients of all types, soothe frazzled nerves, negotiate conflicts and resolve problems. Find custom home builders in Brandeis, CA on Houzz. Narrow your search in the Professionals section of the website to Brandeis, CA home builders. You can also look through Brandeis, CA photos to find a house you like, then contact the builder who worked on it.